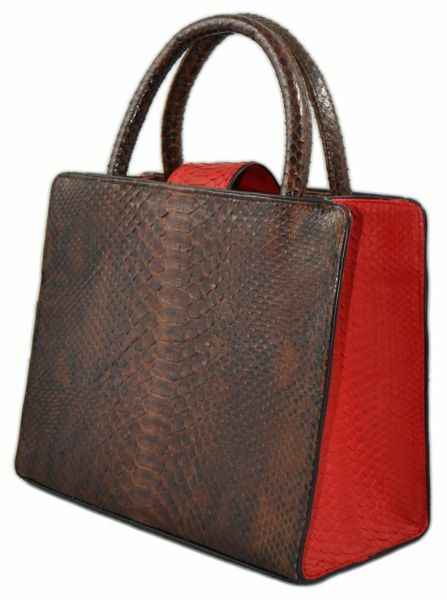 Authentic Python Skin Handbag. Size: 28 cm X 25 cm X 15 cm. Excellent handmade quality and real leather. Made by local Designer: Nadya Beauchamp Dubai. Brown Python Skin and Red Python Skin. Guarantee Authentic and Perfect Handmade Quality!